The Army does this wonderful thing for it’s soldiers and hands us about one 4-day weekend a month with which to do as we please so long as it is within a 250 mile radius of our base. 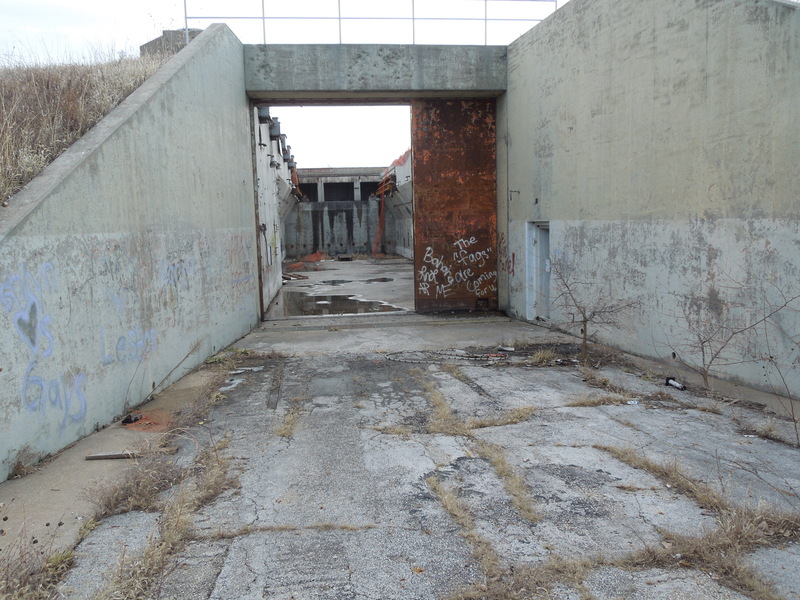 This month’s 4-day weekend actually coincided with some decent Kansas weather, which finally allowed me to pursue one of Kansas’s ghost towns as well as an old missile silo nearby. 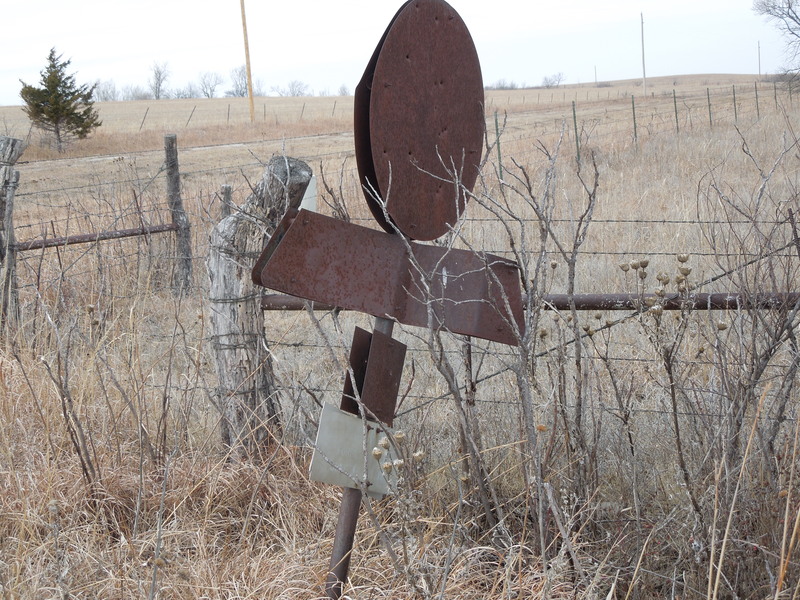 Bushong, Kansas is located in Lyon county about 20 minutes away from Council Grove (which was also a neat place to see). 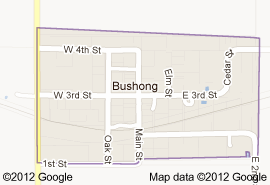 Bushong was originally established as a railroad town named after a baseball player, Albert John “Doc” Bushong, which was hit by the great depression and never managed to recover afterwards. Getting to Bushong from the Fort Riley area was actually incredibly simple and only required a few changes in direction, on top of that the roadways themselves were entirely paved until you reached Bushong itself. 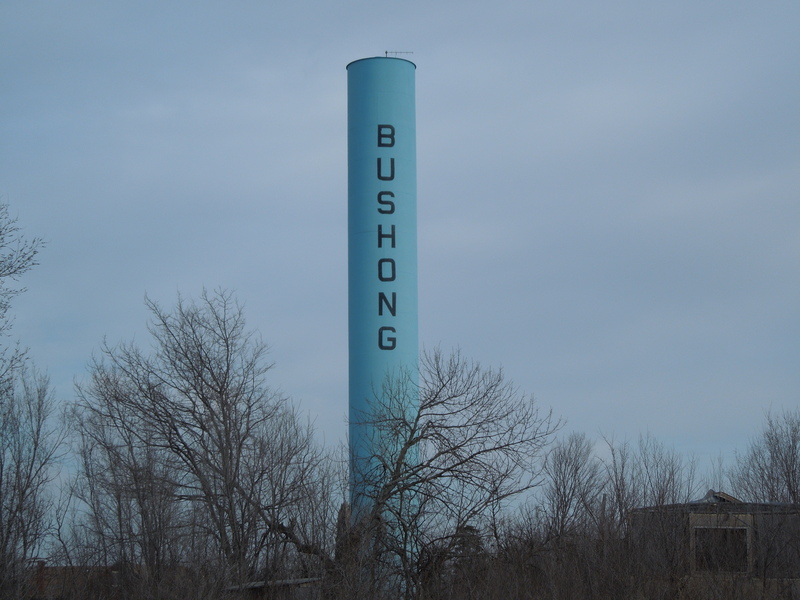 While it may be difficult to identify Bushong’s main roads which are nothing but dirt this time of year and grass come the spring/summer time you can’t miss the giant blue watertower proclaiming itself Bushong. Once you see it you know you’re in the right place. It should also be noted that about 30 people still live in the Bushong vicinity, so please be respectful. While the structures I ended up exploring are relatively wide open, I still recommend bringing a face mask to protect yourself from potential exposure to asbestos. 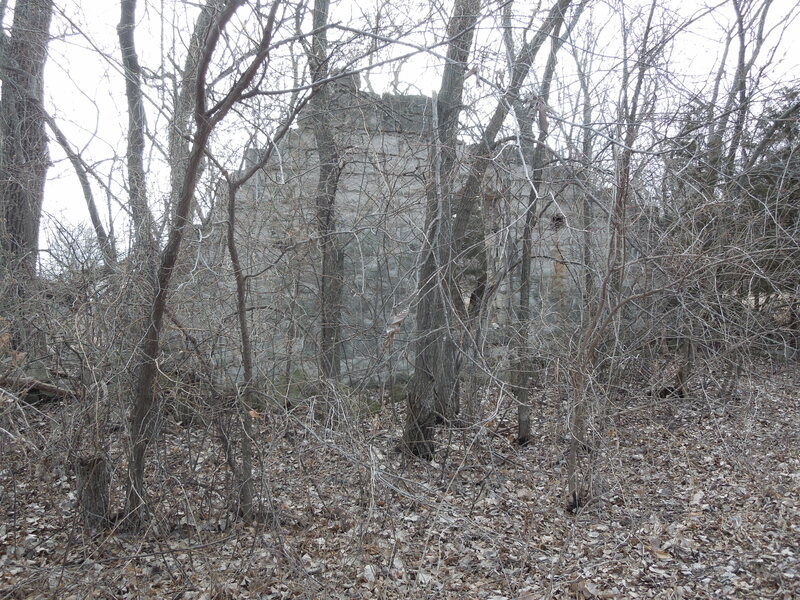 Bushong is the best preserved ghost town I have happened upon in my travels and actually offers plenty for an individual looking to explore abandoned structures. There are a large number of abandoned shells of buildings as well as several intact residences which seem to have been abandoned. the real prize is the Bushong school, which is what I spent the majority of my time wandering. 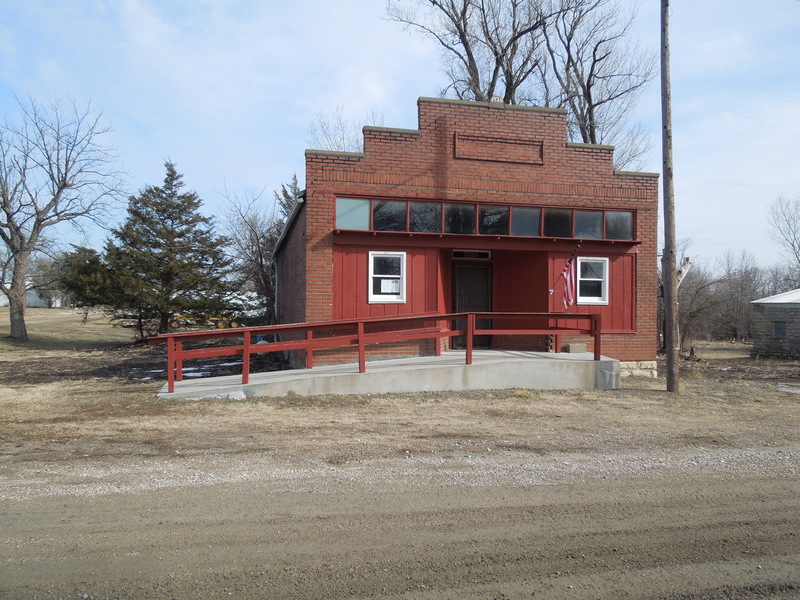 I ended up parking next to the old Bushong Post Office, which is just up the street from the Bushong Garage and near the shell of the old Bushong Bank. The Post Office and garage are boarded off unfortunately and I wasn’t willing to do any breaking and entering. The Bank however was impressive as, despite it being just a shell, the vault was still intact along with an empty safe. In the trees/shrubbery next to the bank you can also see the remaining wall of either the Bushong Hotel or the building that was next to it. Another impressive aspect of Bushong is the fact that despite the roadways all being dirt roadways there is a sidewalk system which is still usable today. The wall of either the Bushong Hotel or store next to it. 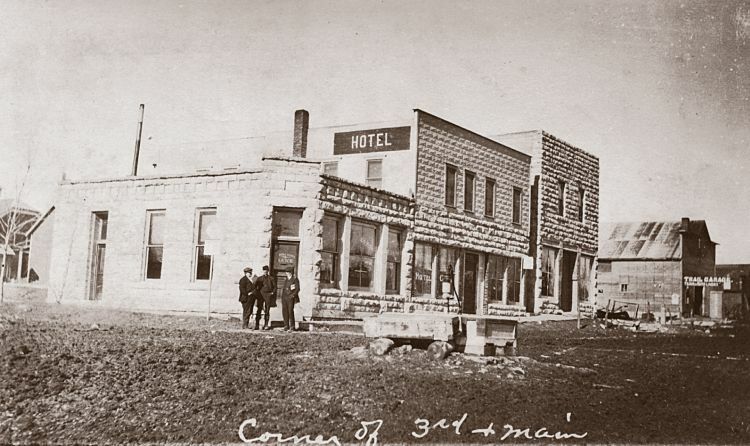 The Bushong State Bank of old as well as the hotel and a building next to it. On the corner of 4th and Main lies the well preserved church which I imagine must still be maintained by someone considering the integrity of other structures in Bushong. 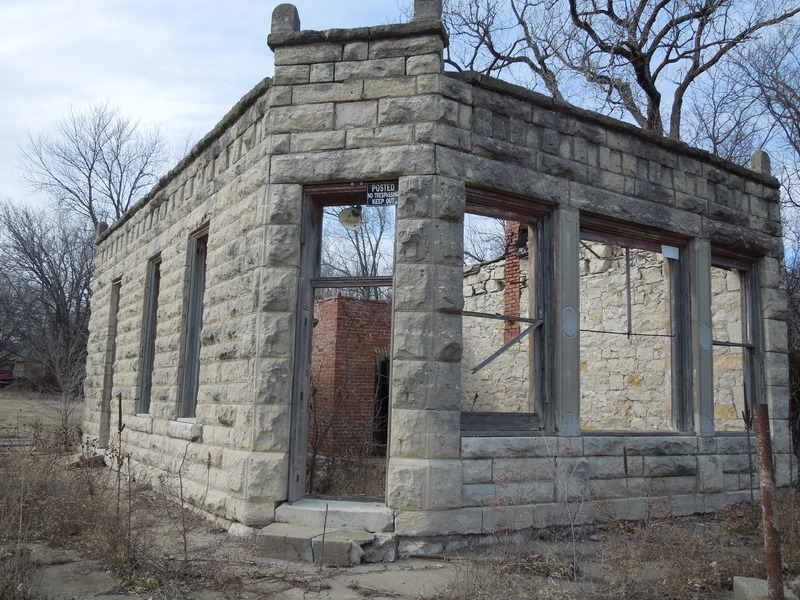 In the middle of 4th street lies the Bushong school which overlooks the rusted Bushong park and is also still maintained to an extent. The Bushong school was a fantastic find for urban exploration and is entirely open for anyone to explore with no trespassing restrictions placed on it whatsoever. There are several areas you can enter, I decided to start with the auditorium. The old flooring is entirely removed from the auditorium as well as the old staircase that lead to the second floor, however there is still the doorway that leads down the halls to the rest of the basement. The stage flooring is wrecked and on it rests the shell of an old piano. The only reason I imagine it was still there is because it was built into the wall. Once you leave the auditorium the majority of the school flooring is concrete and I felt comfortable enough going up to the second floor, although I left the third floor unexplored. All of the walls in the place are ripped out and strewn all around but it is still an incredibly interesting place to see. After spending a while exploring the basement and 1st + 2nd floors I decided to head for my second destination of the day, an old missile silo. I think that this is one of those places you are going to want to visit in several seasons, I know I plan a second trip come spring. I say this because in the current weather with all of the dead vegetation it was easy to spot many of the buildings and structures that would typically be hidden by foliage. On the other hand though, I have seen some fantastic spring/summer time photos, this place is a real beauty in those seasons. "Troop 248 Forbes A. F. B. June 14 - 18, 196~" This is confusing because this missile silo was operated by the 548th SMS and wasn't opened until July of 1960. The Atlas missile silo that I visited over this weekend is one of a series of Atlas class missile silos that were developed during the cold war in the 1960’s across the midwest. There are a few within a couple hundred miles of Fort Riley but this one was optimal as a result of the fact that it is literally right down the road from Bushong. Simply hop back onto road 350 (route 56) and head the mile up to Road D, you really can’t miss it. The GPS Coordinates I used were Latitude: 38.686403, Longitude: -96.302414. It should be noted though that the property was owned by someone at some point after the disarming process and as to whether or not that individual still owns it I’m not sure. Last I knew he was doing jail time for shooting a trespasser on the silo property. 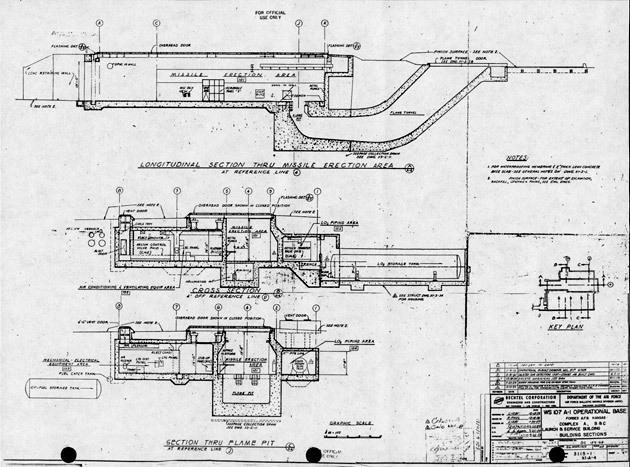 This page actually gives you a pretty good look at what the Atlas E missile silos used to look like. Once again, there is still a chance of this being private property which I can neither confirm or deny, so proceed at your own risk. Another thing to note is the fact that there is a large underground portion to the silo which I didn’t venture into as a result of flooding. So watch your step, tripping and falling into a hole around here could result in drowning as I doubt the water will be pumped out anytime soon. There really isn’t much to the silo now-a-days unfortunately, not with flooding considerations in mind. I didn’t venture too far into the silo as I didn’t want to go tripping in any holes, but had the silo not been flooded there is generally an underground complex to the Atlas-E series of silos where the control mechanisms for the launch would have been as well as tunnels leading in the directions of older structures that used to be on the silo grounds. Overall the silo was underwhelming compared to Bushong and I was antsy about getting out quickly considering the silo’s history. But I did make a quick 5 minute recording of the outside perimeter. I imagine just about any season would be fine to see what is left of the silo. While I doubt the interior will ever be easily explored without pumping all of the water out, a drier season would be optimal for attempting to see the underground.